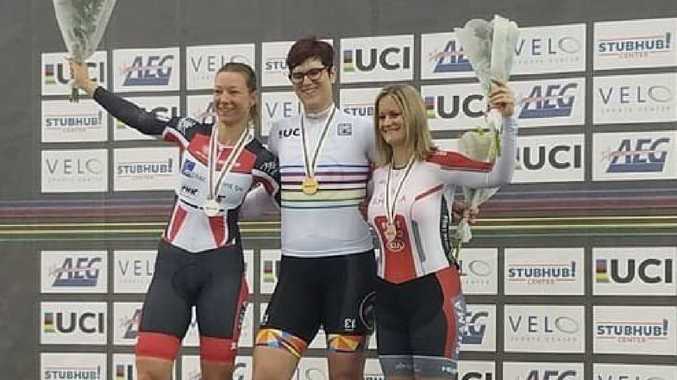 CYCLING'S first transgender world champion has fired back at heated criticism surrounding her breakthrough victory at the 2018 UCI Masters track championships. Canadian philosophy professor at South Carolina's College of Charleston Dr Rachel McKinnon endured a torrent of online trolling after taking to social media to celebrate her world championship win in the women's 35-44 sprint final at the Velo Sports Center in Los Angeles earlier this week. An image of McKinnon standing tall above her competitors during the medal presentation ceremony has spread globally in the wake of her controversial victory - just as she predicted. McKinnon, born a biological male, won gold in the sprint final against friend Carolien Van Herrikhuyzen from the Netherlands. An elated McKinnon claimed, to her knowledge, she is the first openly transgender athlete to win a world championship in any sport, after nudging past Van Herrikhuyzen on the final straight in a time of 12.903 seconds. American Jennifer Wagner, who finished third, led the criticism against McKinnon's participation in the championships. Wagner responded to English media commentator Katie Hopkins' online swipe at McKinnon by declaring it was not fair that McKinnon was able to compete at all. Hopkins also declared it was "febrile madness" for the UCI to sanction McKinnon's participation. For clarity - this was the WOMENS world championships. McKinnon hit out at the criticism immediately following her victory both on social media and in interviews. She told velonews.com she enjoyed no physical advantage over her competitors despite being born a male. "I think there is absolutely no evidence that I have an unfair advantage," McKinnon said. "People who oppose transgender inclusion in sport put us in the double bind. It's the "damned if you do, damned if you don't" scenario. "If I win, they attribute it to me being trans and having an unfair advantage. If I lose, the same people think I must not be good anyway. People will never attribute my winning to hard work which is what I think I deserve." She said there is no research to suggest that testosterone and body development would in anyway enhance the physical performance of transgender athletes. She recently told USA Today that policing the testosterone levels of transgender athletes violates their human rights - declaring that should override all debates surrounding potential unfair playing fields for transgender athletes. "We cannot have a woman legally recognised as a trans woman in society, and not be recognized that way in sports," McKinnon said recently. "Focusing on performance advantage is largely irrelevant because this is a rights issue. We shouldn't be worried about trans people taking over the Olympics. 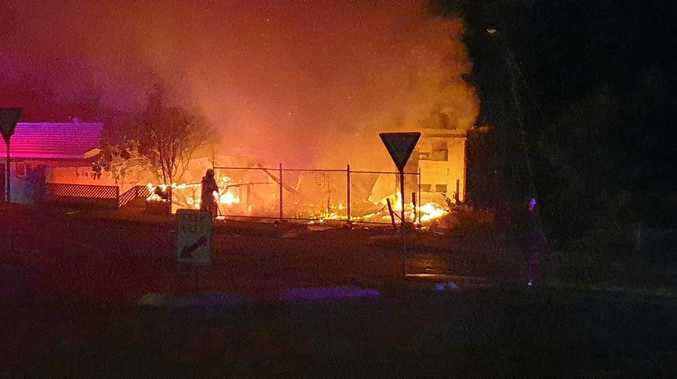 We should be worried about their fairness and human rights instead." Her arguments did little to stop her accomplishments being immediately criticised by people on social media with McKinnon angrily firing back at trolls on Twitter and Instagram. ...the next weeks are going to be wild. There's probably going to be a tonne of press, both positive and SUPER negative, for my world championship win. As far as we know, I'm the FIRST EVER trans woman world champion in an individual event...ever. In her comments she claims silver medallist Van Herrikhuyzen embraced her after the victory and said the Dutch athlete openly supported the result. The same can't be said for bronze medallist Wagner - or many other users on Twitter.